Including battery case, home appliances shell, all kinds of oil or gas containers. Regarding PE bottle recycling, one of the main application is surely blow molding application, as this became for the investors one of the most important final applications in terms of investment returns and of positive results.Including battery case, home appliances shell, all kinds of oil or gas containers. 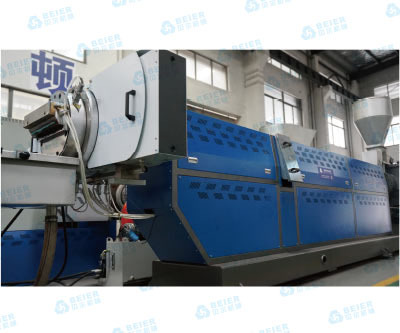 In this hard material section,Beier machinery hard material washing line is consisting in sorting prewashing, wet grinding, hot washing, separation, centrifugation and drying. then it can be conveied to Beier Machinery pelletizing system for further recycling process. 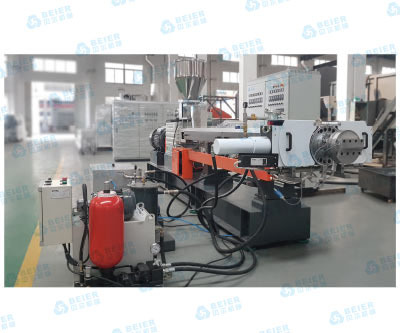 Strand Pelletizing Line Applications: Fiber Reinforcement: glass fiber, carbon fiber reinforced PP, PA, PBT, ABS, AS, PC, POM, PPS,PET, etc. Polymer Blending: blending of PC/ABS, PA/ABS, PP/EPDM, PA/EPDM, PP/SBS, etc. lncorporation of Fillers: CaCO3, Talc, TiO2, carbon black filled PE, PP, or EVA etc. Cable Compounds: cable sheath, cable insulation compounds of LDPE, HDPE, LLDPE, MDPE; radiation- crosslinkable compounds, optical fiber protection compounds, heat-shrinkable polymer compounds. Special Compounds: PPR pipe compounds, PE compounds for crosslinked pipes, tobacco filter compounds etc. High Concentration Color Masterbatches: PE, ABS, PS, EVA, PET, PP etc. with high concentration of pigments and other processing aids. Masterbatches with Flame-Retardants: PP, PA, ABS, EVA, PBT, etc. with flame retardants and other additives. Special Functional Masterbatches: Masterbatches with anti-static, antibacteria, or other special functional fillers. Masterbatches for Degradable Polymers: PP, PE, PS, etc, blended with high concentration of starch and other processing aids.